With the holding of IFA in early September and Apple's launch event in October, the global attention has once again been attracted to the electronic gadgets. From tech blogs to Facebook and Twitter, people are talking about the best electronic gadgets in 2013, such as iPhone 5S, Galaxy Note 3, iPad Air, Nexus 10 and so on. Which are the best mobile phone in 2013, and which are the best tablet in 2013? In this article we are going to present you the best electronic gadgets, including top 5 smart phones and top 5 tablets in our reviews. If you are also thinking of purchasing a cool gadget in the 2013 mass shopping season, this article might also be your holiday gift guide. We give the No.1 place to Samsung Galaxy Note 3 as it surprised us a lot with its release. It has gorgeous 5.7-inch full HD screen, refined S Pen skills and screaming quad-core processor. It is undoubtedly the best Android mobile phone by far. The relatively huge screen will better satisfy your video playing needs. For example, you can rip DVD movies to Samsung Galaxy Note 3 and watch it on big screen on the go. We have talked about and waited for colorful iPhone for years. Now, on iPhone 5S, we get extra champagne gold. On iPhone 5C, cheaper edition of iPhone 5S, we get even more color choices. Besides, iPhone 5S has also delighted millions of Apple fans with its fingerprint sensor and brand new iOS 7. It deserves a place in the Best Mobile Phones 2013 list. The phone has a gorgeous metal body and high-contrast 4.7-inch full HD display, which is perfect for browsing web pages at full zoom. In terms of audio and visual output it is also unsurpassed. With quad-core 1.7GHz processor, HTC One delivers a fairly fast speed when comparing with other cool gadgets released this year. Samsung Galaxy S4 impressed us since its release by the appealing design, ever largest 5-inch screen and 13-megapixel camera. At the same time, S4 has crammed in extra software which earned it mixed comments: power users thought it a bonus while normal users thought it complicated and time-wasting. Thought not the best of all, S4 is one of our favorite amongst the new electronic gadgets in 2013. If you are a Nokia enthusiast, you can't miss out Lumia 1020. It is absolutely the best smart phone running WP8. And if you want a handset to replace both your phone and camera, Nokia Lumia 1020 is the best electronic gift to buy. Though the newest iPad Air is somewhat identical to its predecessor iPad 4 in size, weight and Retina screen, it really improves in system speed and graphics power with dual-core A7 chip. And the iOS App Store remains best in class, with the widest selection. So, we still give iPad Air the first place in our 2013 best tablets to buy list. In addition, iPad mini with Retina display is also an alternative if you prefer to hold with one hand. 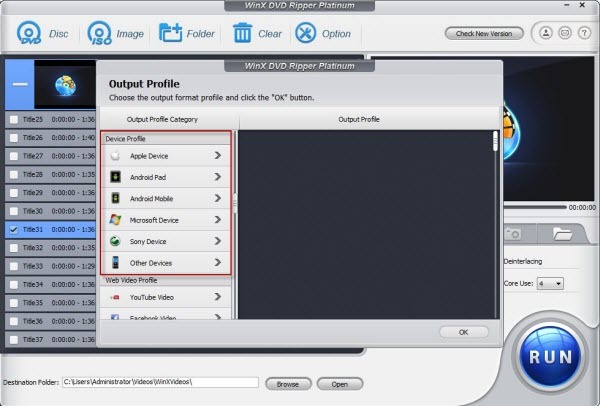 You can playing DVD movies on iPad mini or convert MKV to iPad mini with ease. The Nexus 10 is easily the best full-sized Android tablet we've seen to date. At 299 pixels per inch it's the highest resolution 10-inch tablet display on the planet. Also the price is very user-friendly if you are just looking for an affordable and cool gadget in 2013 holiday season. An improvement in nearly every way to the 2012 version, the Samsung Note 10.1 has a generously bright and sharp screen, good performance, and a useful handwriting recognition. Though the price is also HIGH enough, we still include it as one of the best electronic gadgets in 2013. Surface Pro 2 runs a full version of Windows 8.1. There are additional memory options and the kickstand has been improved so that it's more comfortable to use in the lap. It is the best 2-in-1 tablet to buy in our review. It is not just an e-reader. The 7-inch Kindle Fire HDX has a 1920 x 1200 display, a quad-core processor, LTE, all the Amazon services you'd expect plus a new 'Mayday' support service for new users. The Kindle Fire HDX 7 delivers incredible value for its price, especially for Amazon Prime members. So, don't hesitate to include it in your holiday gift cart. In addition to the best electronic gadgets mentioned above, we still have more choices such as Motorola Droid Maxx, Huawei Ascend P6, LG G2, Asus Transformer Pad, Sony Xperia Tablet Z, and so on. WinX DVD Ripper Platinum: It is the No.1 fast DVD ripper software for PC which has been designed with 350+ profiles, covering mainstream devices from Apple, Samsung, Google, Amazon, Ssony, Microsoft, HTC, Nokia, Lenovo, Asus, etc. Besides, it is able to remove DVD encryption like CSS, RCE, region code, UOP, Sony ARccOS, and Disney X-project DRM. It helps you watch DVD movies on cool electronic gadgets effortlessly. 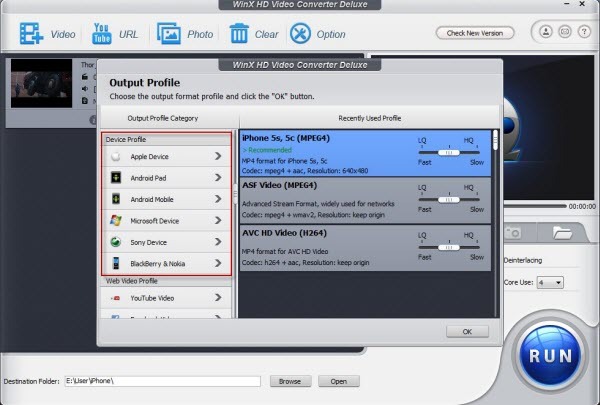 WinX HD Video Converter Deluxe: It is all-in-one video converter, video editor, online video downloader and photo slideshow maker. With built-in 320+ video codecs and 50+ audio codecs, you can easily convert video formats to be compatible with your electronic gadgets, such as iPhone, iPad, iPod touch, Samsung Galaxy series, Google Nexus series, HTC, Surface, Kindle Fire, WP8 phones/tablets, PSP, etc.